Like Big Blue Bug Solutions, New Bedford has its roots buried deep within New England. New Bedford has a rich history - it was once one of the most important whaling ports in the world! Today, the residents of New Bedford enjoy the benefits of its working waterfront, cobblestone streets, parks, beaches, residential neighborhoods, and local businesses. 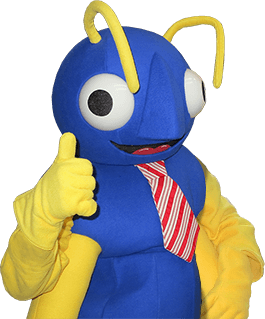 The residents of New Bedford can also enjoy pest-free homes and businesses with the help of the dedicated and experienced pest control professionals at Big Blue Bug Solutions. At Big Blue, we are capable of protecting any property from problems with insects, rodents, and wildlife! We all know that insects and rodents can be extremely annoying, but they can also be extremely damaging. Even a very small infestation can cause big problems in your New Bedford home. The best way to protect your home, your personal belongings and your sanity is to put in place a year-round pest control program. Year-round pest protection for your home means that current pest problems will be addressed and solved and services to protect your home from future pest problems will be implemented! Three visits per year from one of our trained, friendly, and experienced technicians. On-going monitoring of areas vulnerable to insects and other common pests. The guarantee that if pests come back between visits so will we - for free! Mosquitoes and ticks are both parasitic pests that feed on the blood of people and animals. They can invade properties, cause painful and itchy welts, and carry and transmit some very serious diseases like Lyme disease (ticks), the West Nile virus, and the Zika virus (mosquitoes). The pros at Big Blue Bug Solutions understand just how important it is to protect yourself and your family from these pests; and to help, we have developed a very safe yet effective mosquito and tick control program. A thorough inspection of your New Bedford property to identify any breeding and hiding sites. The reduction of breeding sites. We also can provide our New Bedford residents with a one-time mosquito service in order to help reduce numbers for a large outdoor event or gathering. Big Blue Bug Solutions has been servicing local communities like New Bedford for over 80 years. That means that for the last 80 years we have been helping to keep our customers healthy and safe and their homes and properties protected from dangerous and damaging pests. We have a wide variety of pest control programs to suit the needs of all of our customers and their unique pest control needs. We understand that each of our customers is different and that there is no ‘one- size fits all’ pest control solution. For more information about any of our quality pest control services, contact us today; we would love to help you control and prevent pests, big or small, in your New Bedford, Massachusetts, home or business!